The staff of Aconcagua poker network are committed to assisting and protecting those who should not be playing casino gaming at all, or who wish to limit the amount that they play. Every person signing up for a new account at Aconcagua poker network must check a box that indicates that they are at least 18 years of age. This notifies everybody that we don't accept players under 18. When a player creates an account withAconcagua poker network, we collect their name, address and birth date to confirm that the player is at least 18 years old. 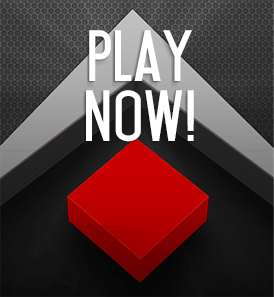 Aconcagua poker network does not target underage players with our marketing and advertising. It is neither good business nor consistent with our personal and corporate values to attract underage players. Be sure to protect your computer. All Windows computers can be set up to have password control so that you must enter a password to get to the desktop. In general, this is a good practice, but it's even more important when there are children or teenagers in your household. Also, keep your Aconcagua poker network screen name and password private. You can elect to have the Aconcagua poker network software not remember your password each time you log intoAconcagua poker network. If you have any concern that somebody else might attempt to access your Aconcagua poker network account, you should not allow the Aconcagua poker network software to remember your password. If you are aware of an underage person using Aconcagua poker network software, let us know. Simply send an email to support@aconcaguapoker.com and we will get right on it. Our first step is to investigate, and if warranted, freeze the player's account and request identification from that player; we take these reports seriously.